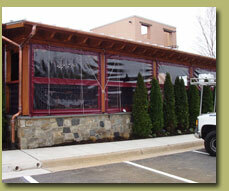 Are you considering purchasing awning screens for your residential or commercial property? If yes, Carroll Awning Company highly recommends Sunesta Awning Screens. This article will provide you information on the great benefits awning screens can offer your property. Awning screens can add tremendous value to a home or business because the screens can help increase living space for enclosed gazebos, decks, patios and home interior rooms/ commercial interior rooms. Screen awnings will allow you to enjoy the great outdoors without feeling the discomfort of inclement weather or pest that come with the outdoors experience. It will also enhance the beauty of your home or business design. Cools the home or business during the hot days. Reduces heat loss during cold days. Reduces the damage UV rays. Carroll Awning Company can design and install quiet, stylish customized retractable screens for your home or business alike – door screens, window screens, specialty screens and more. Learn about our Sunesta Awning Screens today! Carroll Awning Company supplies and installs all new products offered by Sunesta.